Across Asia, consumer culture is increasingly shaping everyday life, with neoliberal economic and social policies increasingly adopted by governments who see their citizens as individualised, sovereign consumers with choices about their lifestyles and identities. One aspect of this development has been the emergence of new wealthy middle classes with lifestyle aspirations shaped by national, regional and global media – especially by a range of new popular lifestyle media, which includes magazines, television and mobile and social media. This book explores how far everyday conceptions and experiences of identity are being transformed by media cultures across the region. 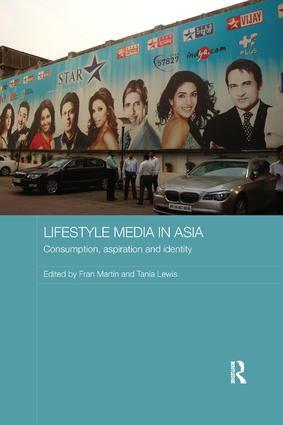 It considers a range of different media in different Asian contexts, contrasting how the shaping of lifestyles in Asia differs from similar processes in Western countries, and assessing how the new lifestyle media represents not just a new emergent media culture, but also illustrates wider cultural and social changes in the Asian region.